Spring Savings! For a limited time only. 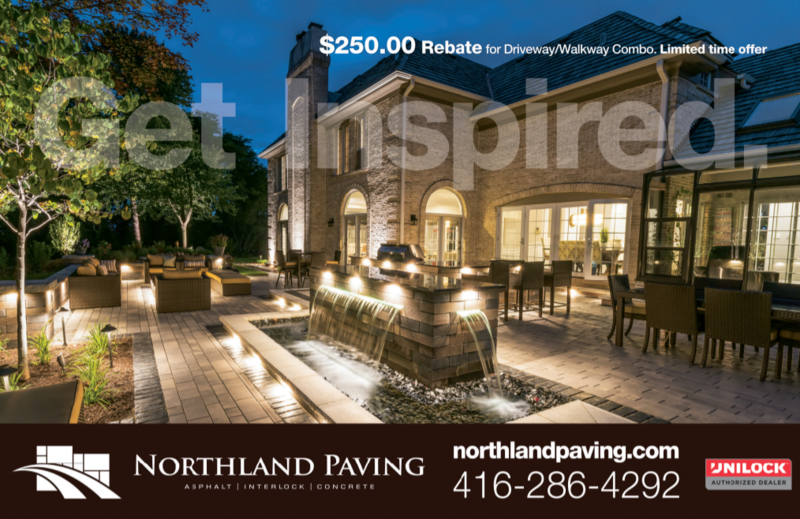 Call Northland Paving to receive your Spring Savings offer. $250.00 savings with all driveway and walkway or driveway and patio combinations. You must book before April 30, 2019. Contact us today and book an appointment for a free consultation. Valid on new bookings only referring to this promotion. Spring Savings are not valid in conjunction with any other offer. Northland Paving is the first interlocking stone contractor in Canada to use the Unilyft. This machine by Unilock is the latest trend with patio and driveway installations. 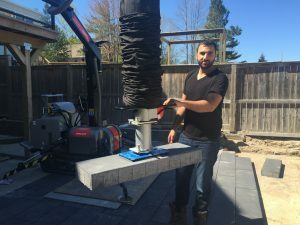 Paving stones are getting larger, heavier and more difficult to install. As a result this machine will make complex designs easier to lay. Northland Paving is an award winning Toronto paving contractor. Crash Wall on Bullock Drive, Markham, ON. Crash walls are required to be installed in most new developments today in Ontario that are adjacent to a railway corridor. These large concrete barriers are required for protection in the event of a train derailment. The management of sound and vibration are other issues addressed by the installation. As our cities expand, more railway corridors are now a development reality. Crash walls are required for both commercial, industrial and residential land use. 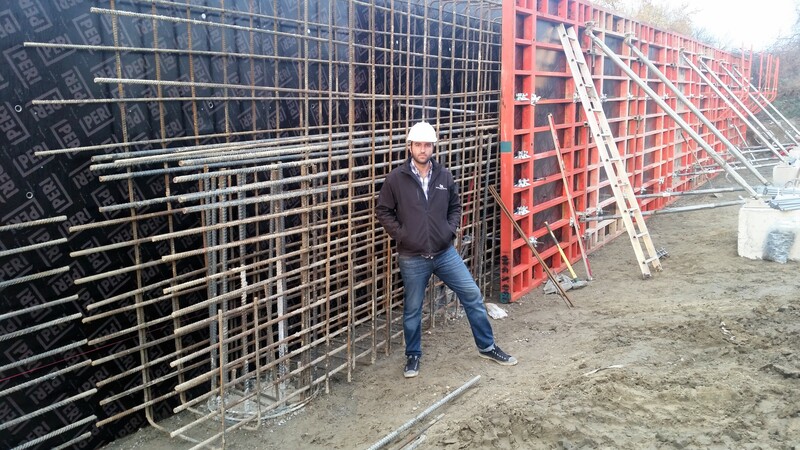 Concrete crash walls require specialized experience and engineering. Each project is inspected for site-specific constraints and safety concerns. 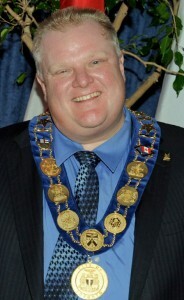 Significant changes have been made in recent years to both federal legislation and some provincial land use acts. The original guidelines were reviewed and updated in 2013 by a joint collaboration from the railways, municipalities and government. This pertains to the development of industrial, commercial and residential lands. The Guidelines for New Development in Proximity to Railway Operations also include the recommended building setbacks for new residential development in proximity to railway operations. The process of building these large concrete walls is highly intricate. 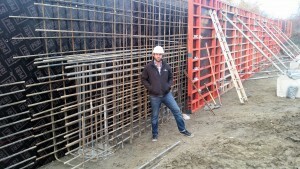 Northland Paving is experienced in building strong and stable concrete crash walls. Northland will also navigate all of the necessary steps in permit co-ordination, inspections, testing and gaining access to rail properties.